Just a quick note that I am back in the office M-F! Hours are all over the place (mostly evenings) since I am also here raising my 4 year old, 2 year old and almost 6 month old BUT if you need something my shops have reopened and I am easy to reach so feel free to drop me a line! 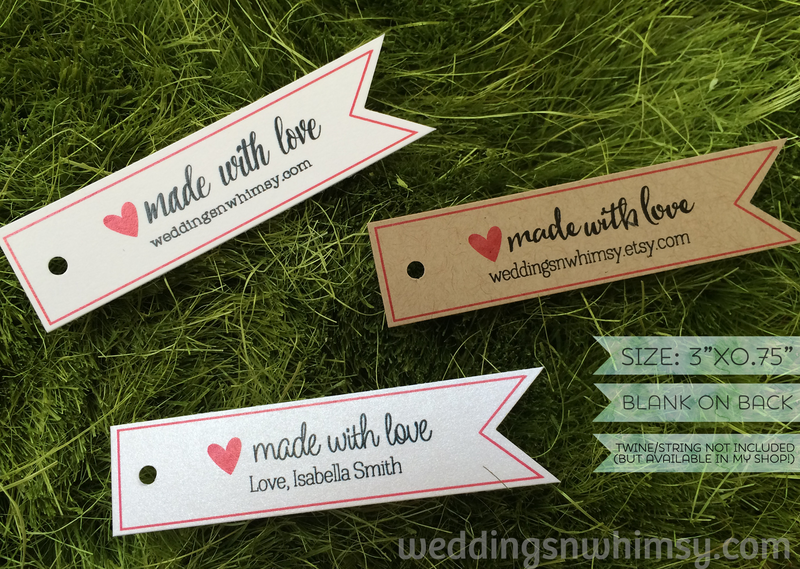 Here is a sneak peek at my “made with love” pennant hang tags now available in my etsy shop. Maternity Leave with Baby #3! I am due with baby number three on 4/21/15 so I am closing shop for now to catch up on all remaining orders. I will re-open as soon as the new baby and I have settled in and I am ready to take on new orders again! Bear with me as the site is getting a revamp! I have been so busy with the girls and working on everyone’s orders that my site has fallen on my priority list. Giving it a whole new look so stay tuned! Wow! Wedding season is upon us already and my printer is working on overdrive. I have returned from maternity leave after having another healthy beautiful baby girl and while the girls keep me (REALLY) busy I remain excited every day to create new designs for all your weddings and events. I have been working with so many wonderful people lately and shipping out tons of new designs! Please get in touch with me if you need something custom (including invitations!). Please view our Policies, Terms & Conditions before ordering! All work, design and copy is ©2009-2018 Weddings*n*Whimsy. You may not reuse/recreate/redistribute/reproduce my designs in whole or in part for any reason unless licensing/permission has been granted. Purchasing a file or product does not transfer copyright to you. I take my intellectual property seriously, as it is my livelihood since 2009. Thank you for understanding!